Just like a car, your bicycle should be regularly serviced to ensure any little issues are picked up before they become big (and expensive!) problems. 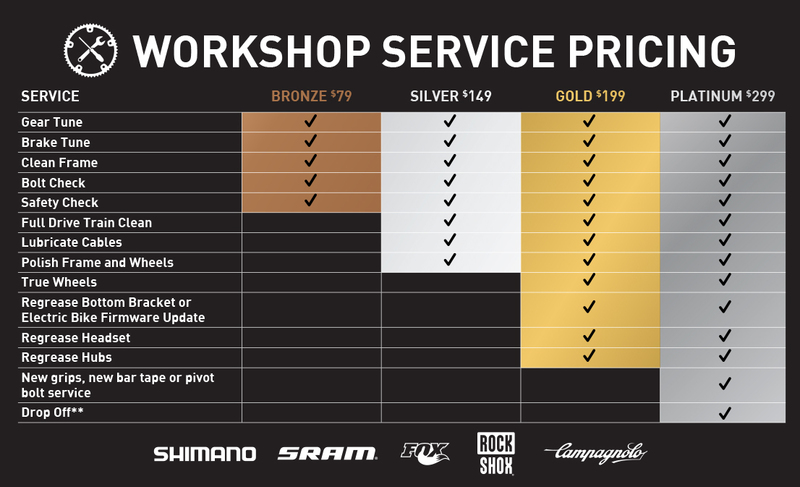 To ensure the safety of you and your bike, we recommend a Gold service at least once a year. 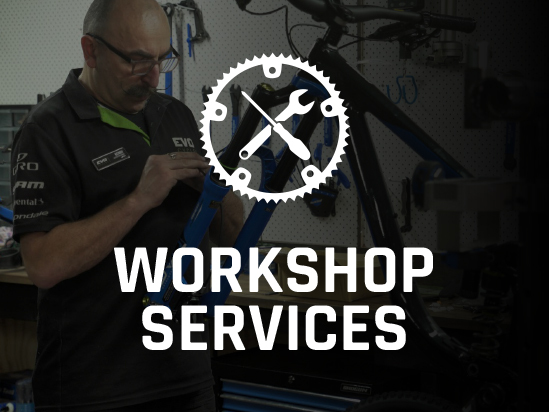 Each of our on-site, fully equipped bicycle service workshops is staffed with a professional, qualified team of bike mechanics, who live and breathe their sport. 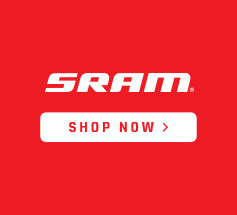 Their expertise and passion for all things bicycle is second to none and you can be sure you'll always be met with a friendly smile. 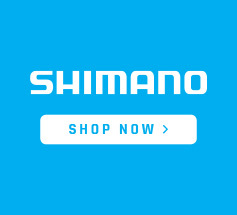 We service all makes and models of bikes, from Mountain Bikes to Road Bikes, Commuter Bikes, Kids Bikes and everything in between. We also offer quotations and repair for insurance purposes. 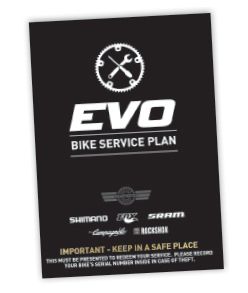 So if you need your bike checked, fixed, repaired, serviced or are just after some good old bike advice, come in and see the team here at Evo Cycles. Ask us for a free quote on anything else from a tube replacement to a custom bike build - we can help! *All services exclude parts and extra labour. You will be contacted if there is any change to your quoted job. **Bookings essential for all services. Limited spaces available per day. Drop-off distances vary per location. 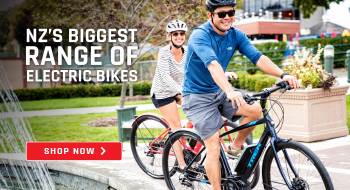 Please ask your nearest Evo Cycles about maximum travel distances. Bikes booked in for Platinum services may not be delivered back on the same day due to time constraints, traffic, and availability of service parts. Platinum service comes with one of the following items, pivot bolt service, bartape, or grips. No exchanges on Platinum service items. 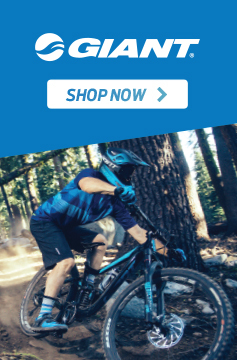 When you purchase a new bike in-store or via Click & Collect at Evo, you have the opportunity to purchase 3 services for the price of less than 2, to use at your discretion over the next 3 years. We offer a huge range of services that aren't listed above. Just give us a call! Please note: Bookings are highly recommended and essential during the busy summer months.